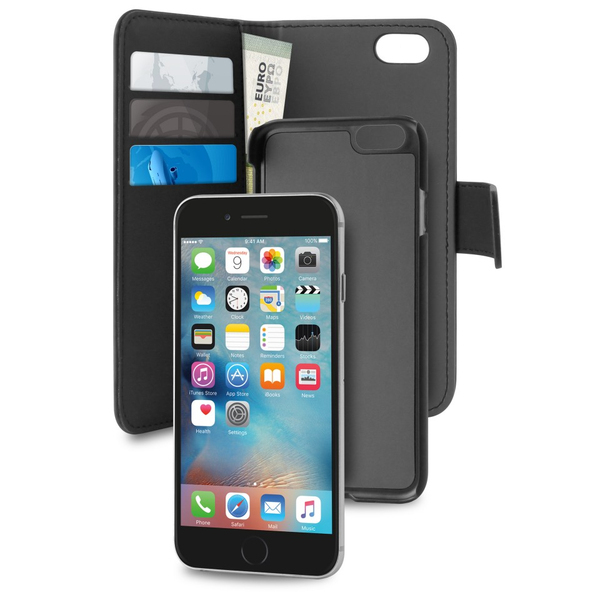 The Detachable Case for iPhone 7 Provides a double solution: it is characterized by being formed by a tough cover with a magnetic system that allows you to detach it from the case and use it as a back cover. 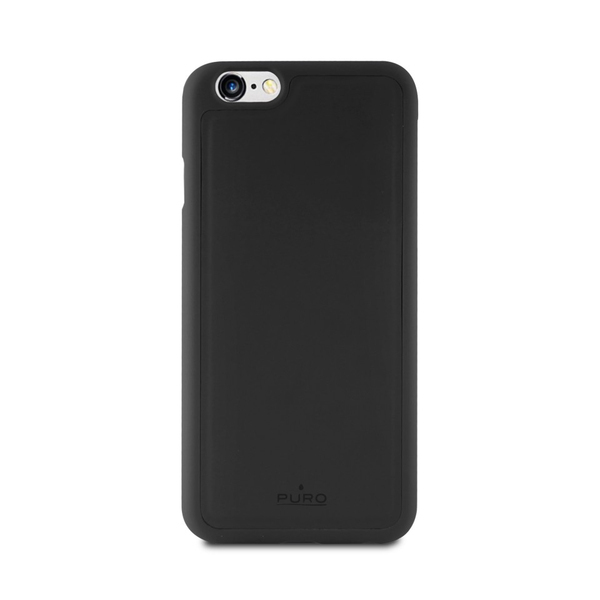 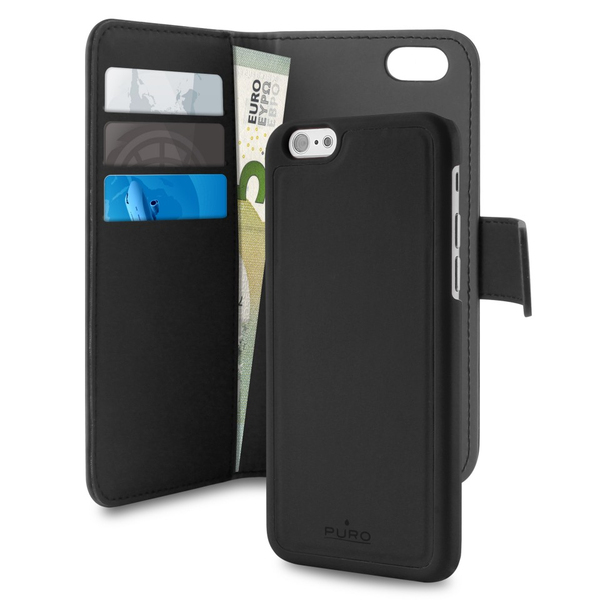 The case has three slots for cards and a coin pocket, ensuring free access to the camera and main controls, as well as full protection. 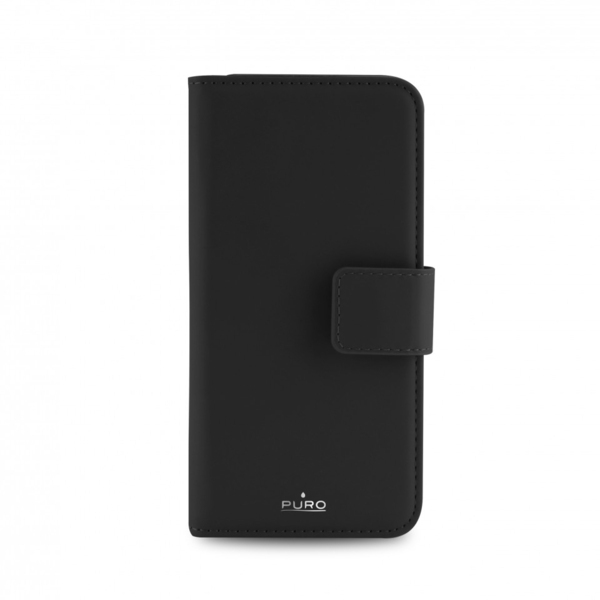 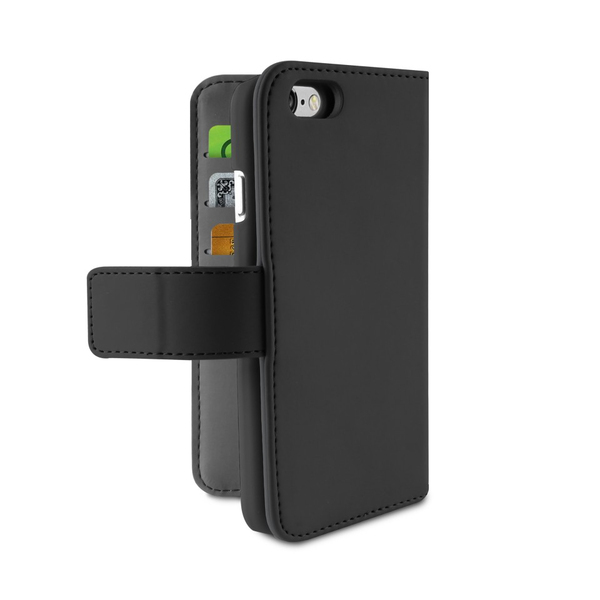 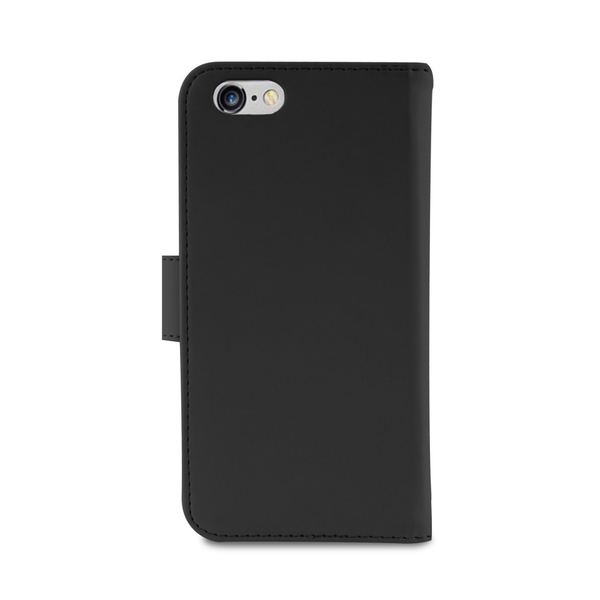 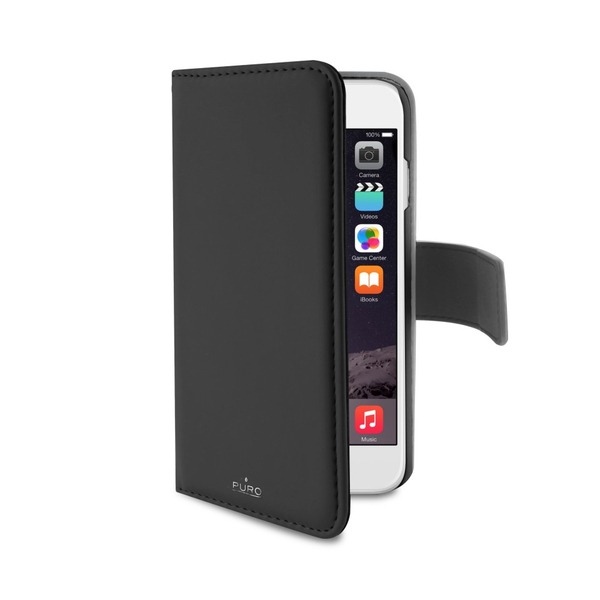 Made of faux leather, Detachable case can be used as 2 products in 1, thanks to magnetic feature that lets you use it as a convenient cover for the back and as full protective case.